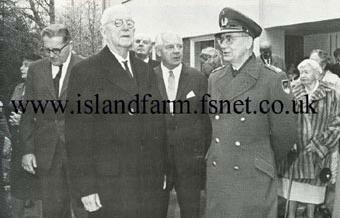 Erich von Manstein (Commander-in-Chief of 11th Army) and the two senior Romanian Army commanders he served very closely with (and relied on heavily) during the conquest of the Crimea and the capture of Sevastopol, 1941-1942. Left to right: Manstein; General Gheorghe Avramescu, commander of the Romanian Mountain Corps; and General Petre Dumitrescu, commander of the Romanian 3rd Army. 14 March 1943: Awarded Oakleaves (No. 209). 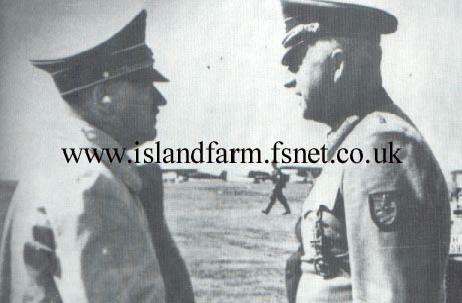 30 March 1944: Relieved of command by Hitler and transferred to Leader Reserve. Also awarded Swords (No. 59) this same date. Not employed for the remainder of World War II. August 1945: Surrendered to the British in Schleswig-Holstein. August 1949: Tried by British Military Court as a war criminal. 19 December 1949: Sentenced to 18 years' imprisonment, later reduced to 12 years. May 1953: Released from prison. 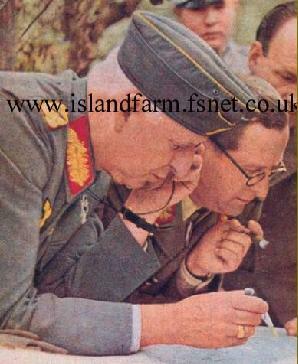 1955: Published his memoirs Verlorene Siege (Lost Victories). 10 June 1973: Died at Irschenhausen, Bavaria. 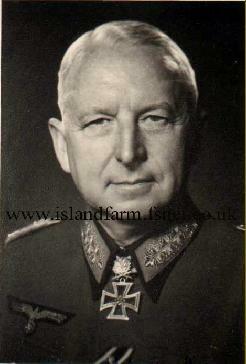 Knight's Cross of the Iron Cross: 19 July 1940, General der Infanterie, Commanding General of XXXVIII Army Corps. Oakleaves (No. 209): 14 March 1943, Generalfeldmarschall, Commander-in-Chief of Army Group South. Swords (No. 59): 30 March 1944, Generalfeldmarschall, Commander-in-Chief of Army Group South. Romanian Order of Michael the Brave, 2nd Class 16 July 1942 (Royal Decree No. 2029). Romanian Order of Michael the Brave, 3rd Class: 25 November 1941 (Royal Decree No. 3258).